The wWildlife Photographer of the Year competition was organised by Heritage Malta’s National Museum of Natural History. Photographs were submitted for three categories: flora, fauna and marine. Apart from a winning photograph for each category, an overall winner was chosen from the 10 finalists. The winners for the flora category are Matthew Borg Cardona for 1st and 3rd place and Mario J. Cachia in 2nd place. The winners in the fauna section are Gordon Zammit 1st place, Matthew Borg Cardona 2nd place and Ian Falzon 3rd place. In the marine section, all three winning photographs were shot by Alan Mizzi. 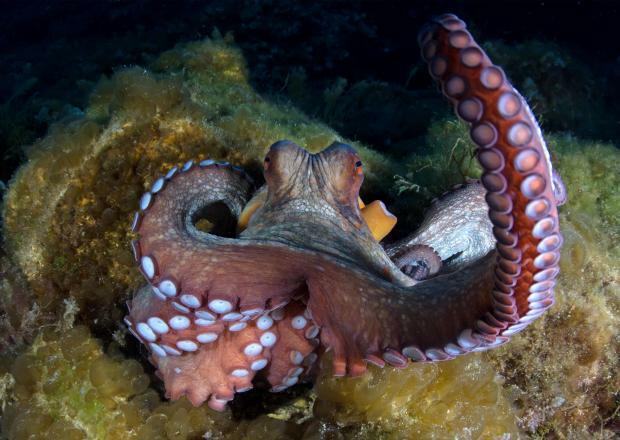 The overall winner is Alan Mizzi with his photograph of a common octopus. The three winning photos and six runners-up from each category are on display in an exhibition at the National Museum of Natural History that will remain open till February 15, 2018. This competition attracted 43 amateur photographers submitting over 340 images of flowers, birds, mammals, reptiles, fish and other animals. The judges commented positively on the high quality of the photographs submitted as well as the various species ’captured’ in the images.